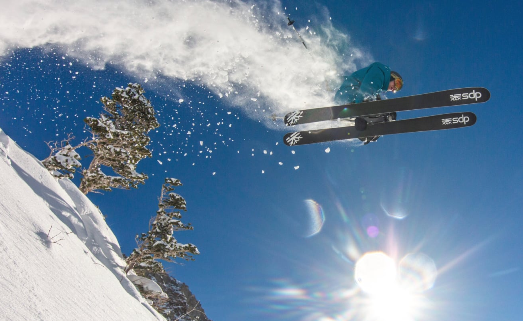 Utah’s DPS Skis, makers of the world’s most advanced carbon fiber skis, and celebrated freeskier Dash Longe are proud to announce a multi-year partnership. Well-known for his smooth style, big airs and effortless on-snow creativity, Longe will lend his vision to help direct DPS’ new athlete-inspired Koala ski as well as his extensive background in ski film production to add a new cog to DPS’ content machine. Longe joins DPS’ existing roster of celebrated Koalas – including Piers Solomon, Santi Guzman, Olof Larsson and Zack Giffin – who have graced the frames of DPS’ award-winning Cinematic film series over the years. In addition to the major role Longe has played in Teton Gravity Research, Eric Iberg and Warren Miller movies over the last 20 years, he has continually been amongst the pack of freeskiing’s most honored professionals. In addition to earning top five finishes in the sport’s most prestigious contest – Red Bull Cold Rush – in both 2010 and 2012, Longe has secured multiple Powder Magazine Video Award nominations, including “Top Male Performance” and “Best Powder Segment.” Read more…..